You can now segregate users based on their workloads into separate RD collections using itopia CAS management portal. RD collections are groups/pools of RD Session Host servers with a shared set of settings. 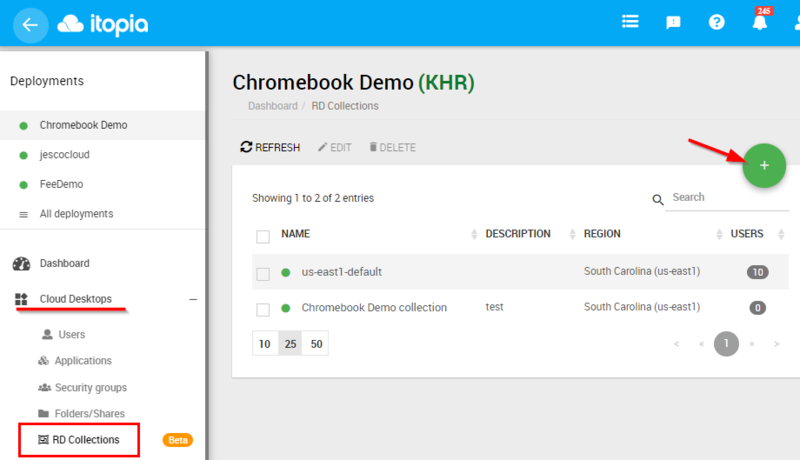 RD Collections in the main menu replaced the Autoscaling module since the Autoscale configuration is now managed inside the RD collection settings. Navigate to Cloud Desktops - RD Collections, you'll get the list of your existing collections. To add a new one, click on the green plus sign on the right. Then define the Name and Description for the new collection. On the right you can apply the End-user Session Timeout settings for the collection. 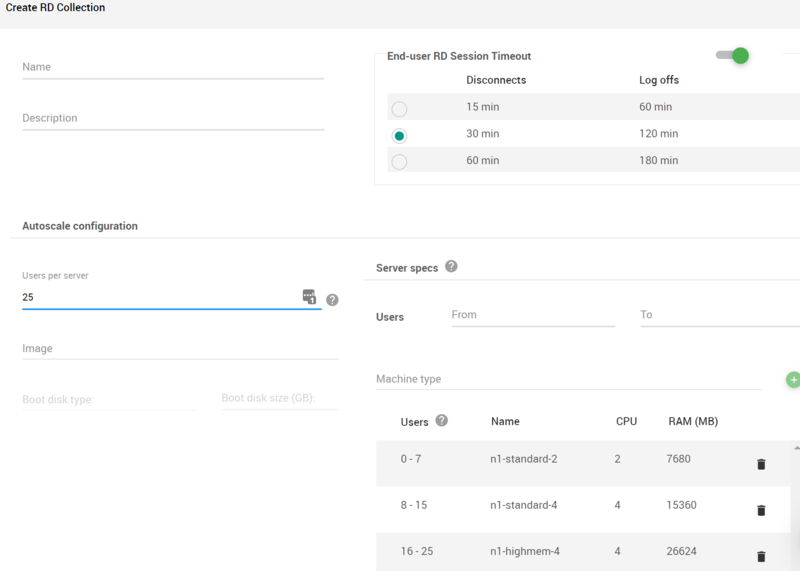 Continue to the autoscaling configuration and specify the session host resource settings as well as the image that should apply to the new collection session host servers. Click "Create" and wait approximately 30 min for the new collection to be created. Once the collection creation process completes, you will see the status change from orange to green and you can start adding users to the collection. This article explains in more detail the changes with your OU structure when multiple collections are created.